Thomas Dolby (born Thomas Morgan Robertson; 14 October 1958) is an English musician and producer. Best known for his 1982 hit "She Blinded Me with Science," and 1984 single "Hyperactive!," he has also worked extensively in production and as a session musician. 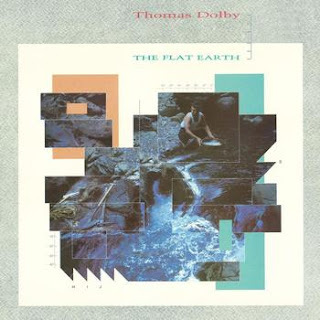 The Flat Earth is Thomas Dolby's followup LP to The Golden Age of Wireless. It was recorded in 1983 and released in early 1984. It peaked at #14 in the UK Albums Chart. The first single from the album was "Hyperactive! ", which peaked at #17 in the UK Singles Chart, making it Dolby's highest-charting single in his home country. Second and third singles, "I Scare Myself" and "Dissidents (The Search For Truth)", peaked at #46 and #90 respectively. The album charted at #35 in America, but none of the singles from the album made the top 40. A remastered "Collector's Edition" of The Flat Earth was released on 13 July 2009, complete with bonus tracks and personal sleeve notes.